ADR was established as a response to the lack of ready-to-use information on stocks for rookie investors. Most of the current available services provide raw data, numerical lists, or small bits and pieces of information that don’t show the bigger picture. We recently launched our main product, StockMetrix, a personal robo-analyst. The app provides previously non-affordable, multi-factorial analytics of stocks free of charge, and it can be easily understood even by inexperienced investors. Most personal investment apps only help manage bills, savings, retirement plans, and etc. Others trade on your behalf, but they bring a very low return. StockMetrix gives you comprehensive analysis of different factors influencing stock prices in an intuitive, easy-to-use format. By doing this, we help individual investors make informed decisions and empower them in a way that levels the playing field with institutional players. Thanks to the app, a rookie investor can learn how various factors affect a stock price. By mixing different indicators you can build your own investment strategy. This approach provides high return, unlike other apps on the market. We provide great value, especially for young private investors who are still learning! First, our users don’t have to visit dozens of other data sources: on one page they can find all factors that affect stock prices. It’s free of charge, and there’s no need to pay for various online services. Instead of manually gathering tons of data and processing it, StockMetrix data-robots apply the industry’s best practices to analyze the data affecting stock price. Second, we buy only high quality raw data from reliable data sources, such as Thomson Reuters and Zacks Investment Research. Third, we managed to create a very intuitive user interface that allows the user to understand in a glimpse what’s happening to a stock. Only professional trading services cover such a large number of indicators as StockMetrix does. Finally, StockMetrix allows to backtest (or simulate in trading) pretty much anything, including a combination of indicators. This allows avoiding the mistakes and losses that young stock investors normally make. Backtesting is a key component of an effective trading strategy. We are registered in Ireland, while the development team is in Almaty, Kazakhstan, which is one of Central Asia’s largest countries. By the end of 2018, we plan to move the business development division to Ireland to be closer to European markets, where many of our target investors and partners are located. Advanced Data Robots is a young company, registered in Cork in late 2017, but work on StockMetrix started in mid 2016. We’ve already some patents received and others pending in the U.S., China, Hong Kong and the European Union, including the design, utility patents and the trademarks. Until recently, we’ve enjoyed generic growth despite no spending on advertising at all. We launched on iOS and Android about a month ago and already received a lot of very positive feedback from users in the U.S. and Canada. Winning is a process, and having a great functional product in hand is a key to success. We target individual stock market investors who are in the age range of 18 to 45. Pretty much everybody who invests can use it, including professional brokerages and their clients who might be individual traders. 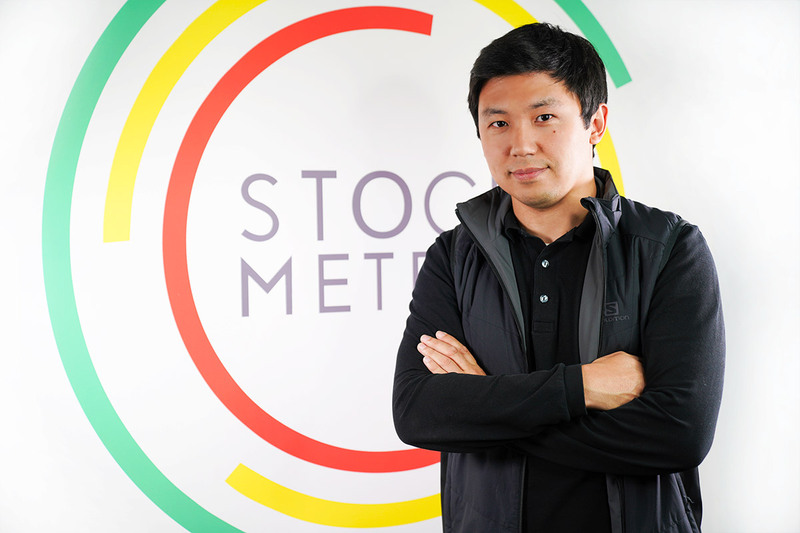 However, StockMetrix could be the best learning instrument for rookie investors. Myself and the other co-founders have extensive experience launching and managing businesses. We started at Big Four audit firms and equity investment funds, and each worked our way to top management positions in publicly listed companies. We’ve also invested in several fintech startups. Team members responsible for product development include members of the Association of Certified Chartered Accountants, Chartered Financial Analyst Institute, former Ernst&Young and Deloitte seniors and talented mathematicians who participated in math Olympics, such as the China Mathematical Olympiad. Design is headed by an experienced designer and artist whose work has been exhibited in London, Moscow, Breda, and other cities across the globe. Programming is covered by talented IT graduates who reached the semi-finals of the ACM International Programming Contest, and a data scientist who was a gold medalist at the International Physics Olympics (IPhO). What are the long-term plans for your product/company? We are currently working on an artificial intelligence (AI) solution for StockMetrix called Evie. It’s a personal investment assistant who will manage your investment portfolio, advise regarding your investment decisions and update on the current market situation.